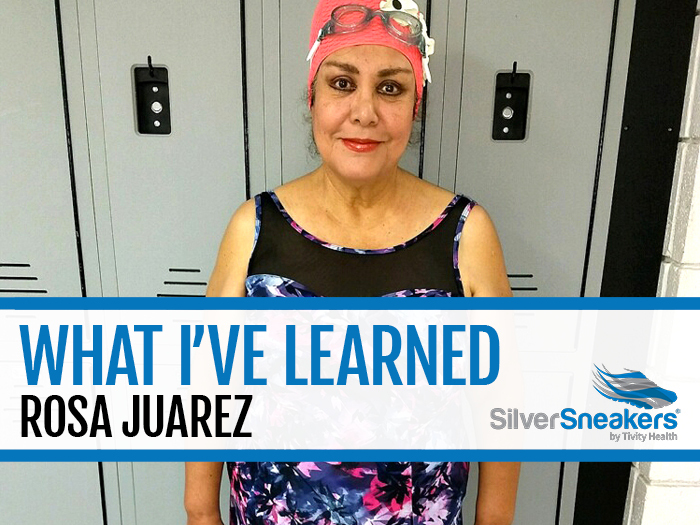 Water was the source of deep anxiety for this SilverSneakers member. But she dove in—and changed her life. About a year ago, Rosa Juarez found herself confused and scared in the locker room of the YWCA in El Paso, Texas, where her rheumatologist suggested she go to help ease her arthritis symptoms. 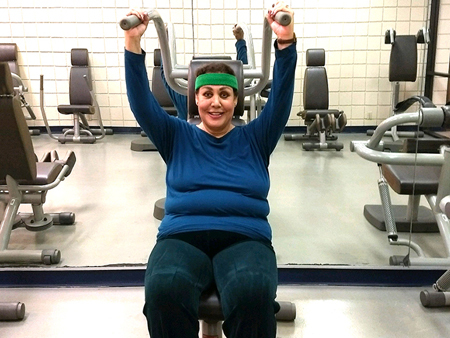 Rosa, 65, could hardly walk anymore, and water aerobics might work wonders, the doctor said. The only problem? Rosa had been afraid of the water her whole life. “She was the most adorable, short lady, with blue twinkling eyes, snow-white hair, and the sweetest smile looking up at me,” Rosa says. She doesn’t remember her name, but she remembers hearing the older woman’s soft voice as the room quieted. “Is this your first time here?” she asked. Rosa nodded. “Don’t be afraid,” the woman said as she reached out her hand and led Rosa to the pool. As if on command, the other class members approached Rosa to help her in, with one gently guiding her to the water, another giving her a belt to help her float, and her angel staying by her side as she personally modeled each move that the class instructor called out. Today, Rosa loves the water. Her gym buddies haven’t just helped her with handling her anxiety and building a stronger body. They’ve also showed her how to enjoy life in the wake of major personal loss—something she wasn’t sure was possible. “I now look forward to another day,” she says. Rosa has been battling adversity and beating the odds since birth. When she was a child, she and her mom moved from Juarez, Mexico, into El Paso to live with her grandparents. No one in her family knew how to speak English, and there weren’t any bilingual teachers at Rosa’s elementary school to help her learn the language. So she had to try on her own. Rosa didn’t know college was an option for her, so after graduation, she married a marine, moved to North Carolina, and had two children, Jessica and Michael. “It’s what I was expected to do,” she says. However, when her husband became abusive, she escaped back to El Paso with her kids, where she worked wherever she could—at a furniture store, the county court, and the city’s transportation system—to provide for them. Being a single mom with a high school education was a struggle. “But as they say and I truly believe, God never abandons you, and everything happens for a reason,” Rosa says. When Jessica was in the sixth grade, her school participated in the Mother-Daughter Program at the nearby University of Texas at El Paso (UTEP). Every Saturday, Rosa and Jessica listened to different women in different professions speak about their jobs and how they built their careers. In 1992, at the age of 39, Rosa earned a bilingual education degree from UTEP, and four years later nabbed her master’s for good measure. By then, she was already enjoying a rewarding career in the Ysleta Independent School District, where she helped Spanish-speaking students learn English. “It was just so wonderful for me to see those children get ahead and believe in themselves,” Rosa says. For 25 years, Rosa loved being a teacher and helping everyone around her succeed. But as she learned in 2017, all good things must come to an end. Rosa didn’t want to retire. But she’d been neglecting her arthritis for years, and her symptoms were getting worse. In 2017, Rosa took her students on a field trip to Carlsbad Caverns National Park in New Mexico. But the nagging pain in her knees meant she couldn’t explore the caves with the kids, which forced her decision. The upside of retirement meant Rosa would get to spend more time with her mother. She promised they would finally travel together, after Rosa put off those plans for so many years while tending to her students. But sadly, Rosa’s mom passed away during her final school year. “I felt I had let her down,” she says. To hear Rosa tell it, her first year of retirement couldn’t have been worse. Early in 2018, Rosa finally saw a doctor and pledged to take care of herself. “I didn’t want to be a burden for my family,” she says. When her doc told her about the water aerobics class with SilverSneakers, Rosa was worried about the cost. So, Rosa decided to take the plunge—and that’s when her angel came in. You can now catch Rosa at her YWCA every day of the week. After her new friends helped her get over her fear of the water, she began benefiting from its healing powers. 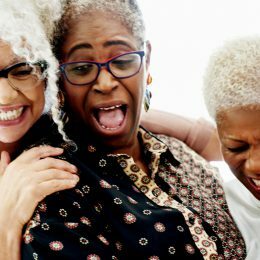 When she isn’t taking water aerobics, stretching, or line dancing classes, Rosa is simply enjoying the company of her fit pals. That doesn’t just mean exercising and socializing. Rosa has since joined a retired teachers association, started volunteering at her church, and even enrolled at El Paso Community College, where she’s learning French and Italian. 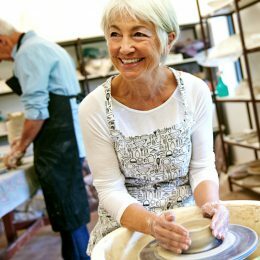 She says none of these activities would be possible if she never joined SilverSneakers. Previous PostWhich Yoga Class Is Best for You?